Bruce Fields showed he could hit in the majors in that September 1986 game, going 2 for 3, with a triple and three RBIs. It was Fields' first trip to the majors in nine seasons and Fields wanted a second. "I'm just trying to leave an impression for next year," Fields told The Associated Press after that game. "I want to play winter ball and put up some big numbers. This is the time that counts." Fields apparently didn't leave enough of impression to return in 1987. But he did eventually leave enough of an impression in his playing days and minor league coaching and managerial career that followed to, years later, become a major league hitting coach. In his playing career, Fields did see playing time in two more major league seasons. His post-playing career has continued into 2011, most recently as the big league hitting coach for the Indians. Fields' career in baseball began in 1978, taken by the Tigers in the seventh round of the draft, out of Everett High in Lansing. He played that first year at rookie Bistol, hitting single-A Lakeland in 1979. Fields stayed in single-A until 1982, when he hit AA Birmingham. He made AAA Nashville for the first time in 1986, hitting .368. It was his third-straight season hitting .300. It also got him to Detroit. Fields eventually got into 16 games for the Tigers that September, getting 12 hits in 43 at bats. He spent the next year, though, back at AAA, at Toledo. For 1988, the Tigers sent Fields to the Mariners in a trade. The outfielder returned to the majors that April, eventually getting into 39 games on the season. He hit .269, with his only major league home run. Field's major league career ended in 1989, with three final games and three final at bats that July. 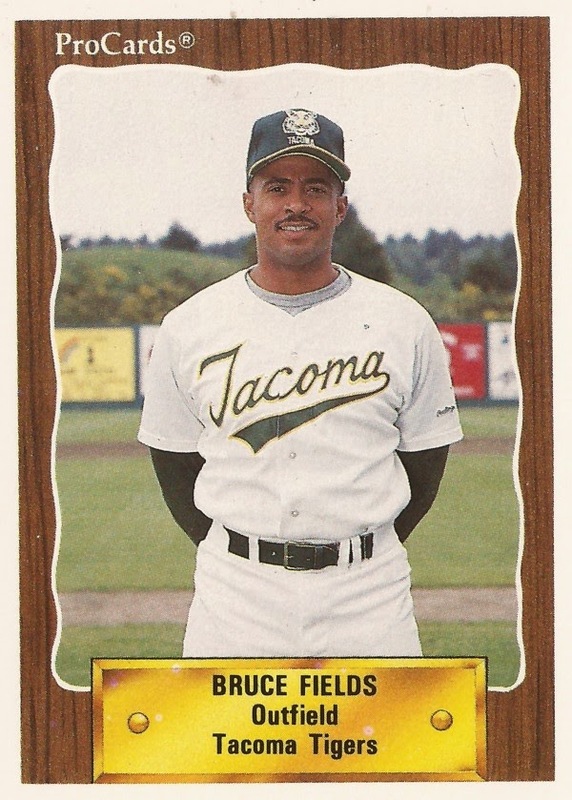 Fields played two more seasons in the minors, with Oakland in 1990 at AAA Tacoma and the Blue Jays and Braves at AAA in 1991. His 14-season playing career over, Fields moved into coaching, a career he has continued into 2011. He started as hitting coach at AA London, moving back to Toledo in 1993. In 1994, as Toledo hitting coach, Fields watched the team come back from a slump with a one-run win. "Now we're coming with a little more intensity for whatever reason and the guys are playing to win," Fields told The Toledo Blade. "The guys seem more at ease." From there, Fields moved to the managerial office, managing at short-season Jamestown in 1995 then moving to single-A West Michigan in 1997. In 2001, Fields became manager at Toledo. In 2003, Fields returned to the majors, becoming hitting coach with the team that first brought him up, the Tigers. One of his tasks that first year was to help Dmitri Young out of his own slump. "I think he's getting too much of his body into the ball," Fields told MLB.com of Young. "When he gets overanxious he starts to jump a little bit more and his body gets in the way. A lot of balls he's fouling off he was hitting during the months of May and June." Fields stayed with the Tigers through 2005. He moved to the Indians as minor league hitting coordinator in 2007. In June 2011, he moved back to the majors, as Indians hitting coach, taking over mid-season. In July, Fields talked about the team's mid-season success, tied for first, saying it was about the young players. "We just let the young guys play," Fields told USA Today. "We keep the young guys on an even keel, keep them loose, and just let them play."